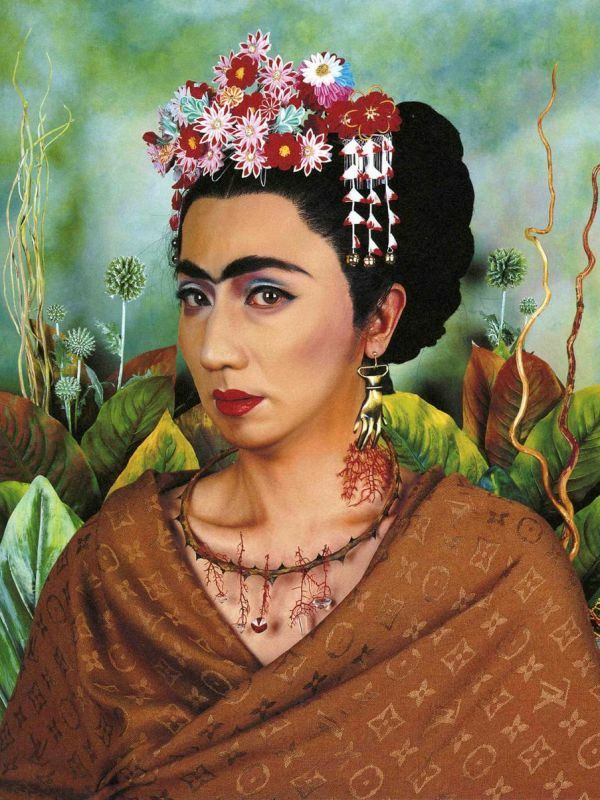 Yasumasa Morimura's exhibition "An Inner Dialogue With Frida Kahlo" premiered at the Hara Museum of Art in Tokyo from July 20 to September 30 2001. The show featured 15 self-portraits as Kahlo, two large flower-rimmed tondos, 11 mirror works, six small pieces, and a video installation. 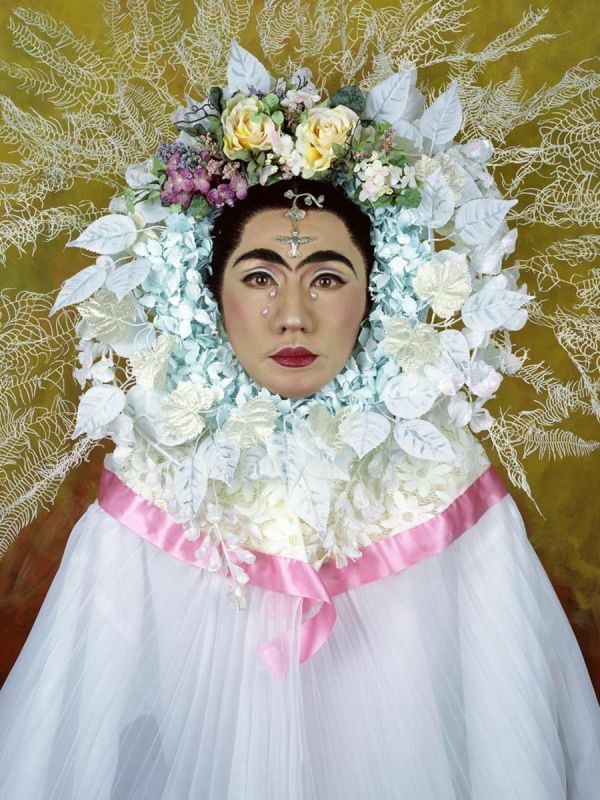 Yasumasa Morimura defines himself as a cross between an actor and an artist. In his photographs he uses a mix of heavy makeup, costumes, painting, and digital manipulation to transform himself into iconic figures from pop culture or art history. 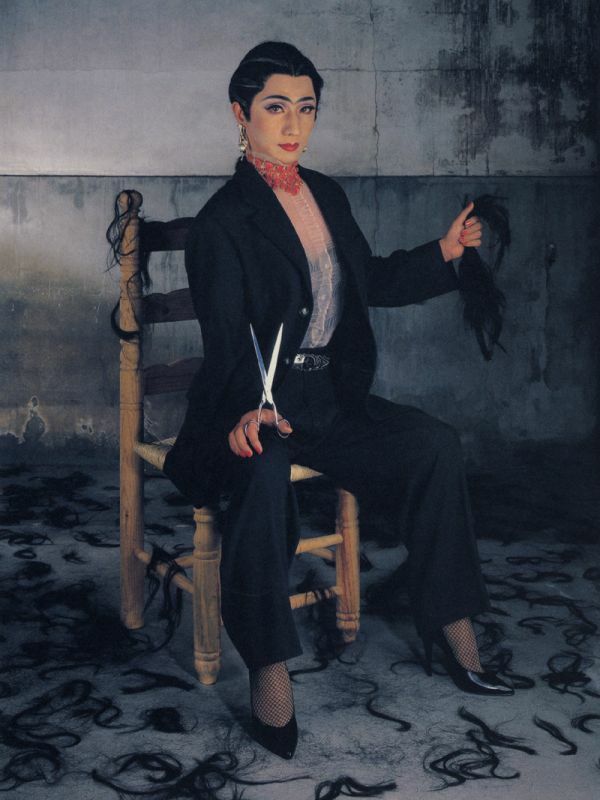 He has appeared as the Mona Lisa, Marilyn Monroe, and even Cindy Sherman, and while his self-portraits are certainly homages, they also explore his own identity as an artist, touching on themes of gender, sexuality, and the culture of celebrity. F: Señor Morimura, how many times have you been to Mexico? F: !Ay de mi! Bueno, how many paintings of mine have you actually seen? F: ...How can you dare to say Frida Kahlo had such an impact on you? M: I never look at the real thing. I thought it over, but decided to keep my usual practice. That is, to take in only a very limited amount of information and use only that information to create works dedicated to you .... As I am being inspired by you, Doña Frida, I drink in what I like to think of as your essence so as to create a Frida of my own, in my own mind's eye. 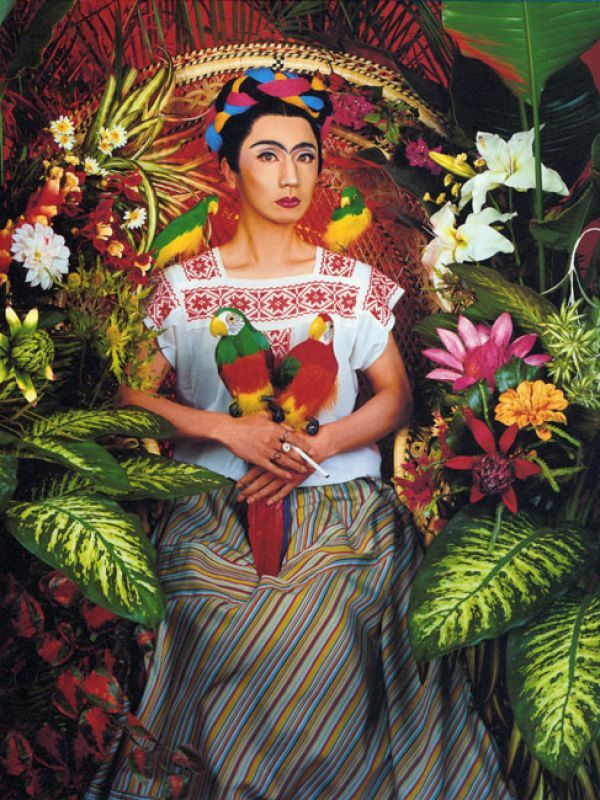 I'm living in the 2001, so I might even create a 21st century Frida. It's all a conception of my imagination. In that fantastic sphere, the various elements of Doña Frida and myself mix into a muddle, a chemical reaction occurs, creating this imaginary Frida of mine. I never planned to create my own discourse on Firda kahlo: I just wanted to give form to what Doña Frida is to me. Via self-portraiture, that is."